Again is a word in paragraph four of Alice's Adventures in Wonderland. I used taas for the Finnish word, but there are other words I could have used, including jälleen and uudelleen. You can now buy The Storm-Wing in paperback, Kindle (not quite ready for a link -- they got my name wrong), and Smashwords. 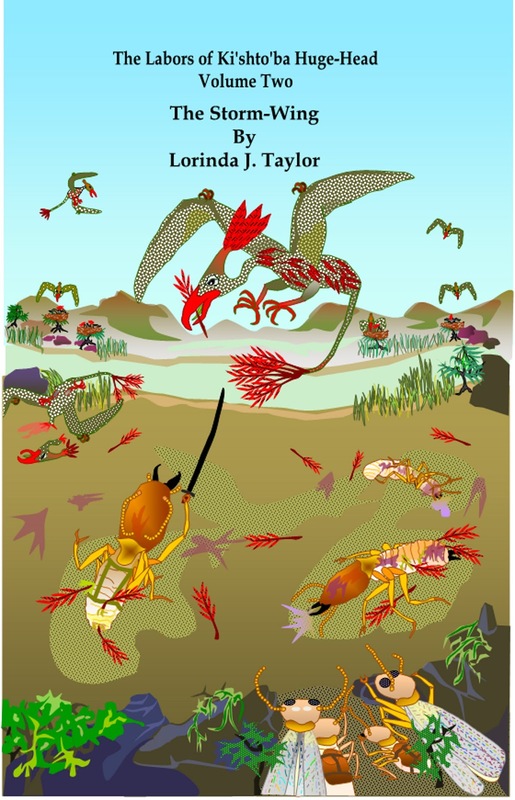 Kindle and Smashwords are $2.99 because the book is about 100 pages shorter than v.1: The War of the Stolen Mother. The paperback is $14.49. Don't hesitate to buy the book, even if you haven't read v.1! Most of the characters and background are reprised, and the book includes a Glossary of Shshi Words, as well as the usual footnotes. If you enjoy tales of high adventure and battles with strange monsters (with a theme of sibling rivalry running through the mix), you will love The Storm-Wing! At the end of v. 1 (The War of the Stolen Mother), the Champion of the Shshi (termite people) Ki'shto'ba Huge-Head and its Companions set out to cross the dangerous Nu'wiv'mi Marsh on their way to visit a friend in the mountains. They soon encounter and do battle with the Marsh Guardians – huge sauro-avians that attack from the air with beak, claw, showers of poisonous dung, and barbed feathers. Ki'shto'ba lops off the leg of the King-Bird but fails to kill him, with consequences that will prove ominous. The Quest is then diverted in a southerly direction, where a fortress being terrorized by a water monster requests Ki'shto'ba's aid. As a reward for slaying this creature, Ki'shto'ba is granted the surname of Monster Slayer. She did so. The thing had dipped lower. It was definitely a yak’nu’wiv’mi| – I recognized the tufted tail, the long neck, the sharp-edged wings. “tha’sask|>||” said Ra’fa’kat’wei. We told everybody, and then it was A’zhu’lo that swore. There was no cover in that area, so we quickened our pace. Ra’fa’kat’wei and I continued to watch the sky. The creature – there was only one – dropped lower. And then we both saw something. 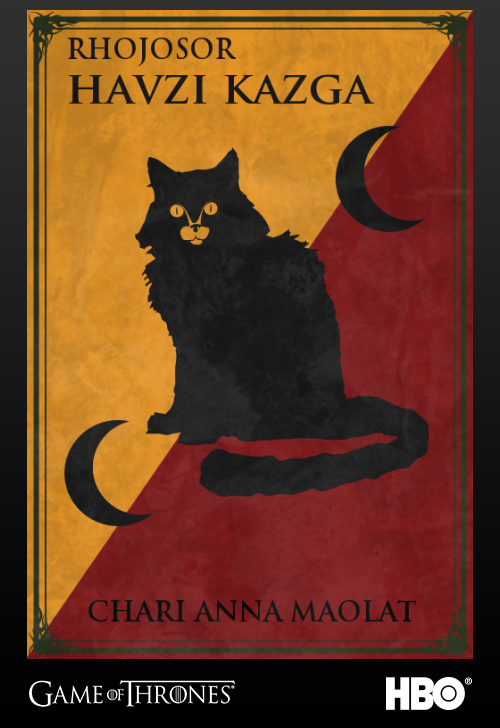 “For sure, he is Hak’tuk!” exclaimed Ra’fa’kat’wei. “He is alone,” said Twa’sei, crowding up against Ki’shto’ba. “He cannot be happy,” said Wei’tu. “Perhaps he is thinking of revenge,” said A’zhu’lo broodingly. We continued to scuttle along as fast as we were able. The Storm-Wing circled in the sky over our heads for some little while. His position never changed in relation to ours, so I was sure he was watching us. Then suddenly he wheeled and veered away toward the southwest. I do not know where he went. At the time I had no desire to know. Just then we saw the shapes of fortress buildings ahead of us and soon we were safely inside the walls of Gut’akh’zi, huffing with relief. Posted in grammar | Comments Off on The Storm-Wing Is Published! I hereby announce that Kalaajur has been officially scrapped. That means no further development on the language. Of course, I have a new project which yet has no name. I chose a different approach to it than with Kalaajur. With Kalaajur, I tried to come up with a significant amount of grammar first, even before the phonology. For now, I’m coming upo with words and words and words to get a feel for the language. I will start right away with inconsitent translations. To be honest, I couldn’t resist systematizing it already, but I desperately want it to be unstable – that is – not to settle it yet. But soon you’ll know. The word world appears in paragraph four of Alice's Adventures in Wonderland, but in the idiom "how in the world". Still it's a noun that could be useful. The Basque word, mundu, comes from the Latin word for world, mundus. The Finnish word, maailma, is according to wiktionary, an ancient compound of maa (earth, ground) and ilma (air), which is an interesting derivation. I've been interviewed by Vanessa Chapman at the Limebirds website. As a bonus you get to see a different picture of me! Aren't you thrilled? you might win a FREE copy of Monster Is in the Eye of the Beholder. that I strongly recommend (http://vanessa-chapman.com/). Posted in grammar | Comments Off on I’ve Been Interviewed! So this one kind of slipped under the radar. 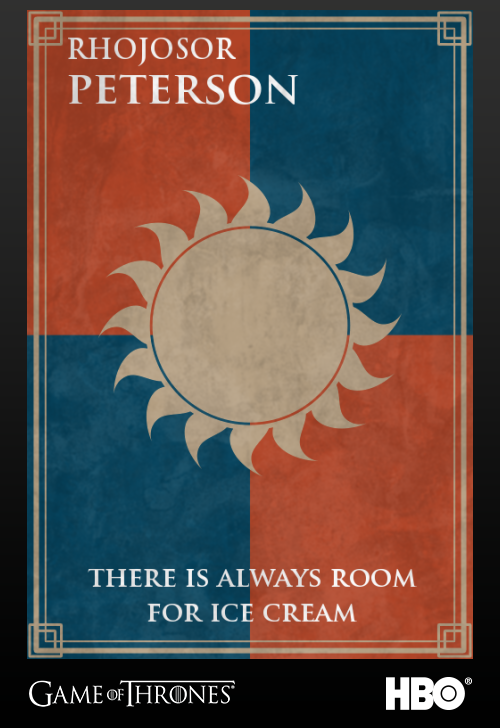 If you point your browser over to JoinTheRealm.com, you’ll be able to create a custom sigil à la Game of Thrones for your own house. 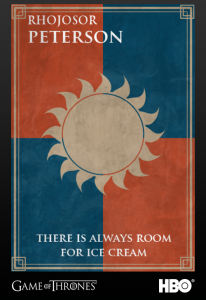 You can choose your colors, your sigil, your house name, your house motto—the whole bit—and share it with friends. Yep. 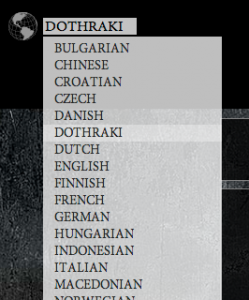 You can go through the entire app in Dothraki. I translated the whole thing—even the copyright info down at the bottom. In fact, if you want to try to include some salty language in your sigil, you’ll even get to see a custom “Nah, you can’t do that” message. Those who remember this discussion may know what that means at a glance. I don’t know if the comments will allow you to post images, but if there’s a way you can share, let’s see some sigils! I’ll probably be doing more as the weeks, months and years progress. I always think I have everything down pat whenever I upload a new book to Smashwords, but every time a new problem arises! First-off, I want to complain about their uploading process. You have to do it all at one time. If you log out in the middle and then log back in, everything has disappeared (CreateSpace retains whatever you put in if you've hit Save). So you have to be sure you have plenty of time and hope IE doesn't crash! So you start by putting in the short description, which has to be 400 characters or less. I never know how many characters I have and they don't tell you as you type (or sometimes they tell you and sometimes they don't -- I haven't quite figured that out). So you get to the end and it tells you the short description is too long. You go back and fix it -- and your text and cover upload disappear and you have to re-enter them! That's just stupid! "Space Bar Error - You are attempting to use space bar spaces (created by the tapping the long space bar at the bottom of your keyboard) to orient text on the page. This is a common error for writers, often mistakenly used either to create indents for the first sentence of a paragraph, or to center text on the page. In most ebook formats, these space bar spaces disappear, rendering your book difficult to read. If you're trying to center something, use Word's "center" button, or better yet see the Style Guide for tips on how to create a custom paragraph style that defines centering. If you're trying to create first line paragraph indents, follow the instructions in the Smashwords Style Guide. To locate the offending spaces, activate Word's "show/hide" feature then do a Search (press the "CTRL" key and the "F" key at the same time) and then search for three spaces (press the space bar on your keyboard three times). Delete all strings of three or more spaces. Also delete any space bar spaces preceding the start of any paragraph. " You know what I hate about their messages? Not only are they verbose -- they're patronizing! Has anybody out there gotten this far with self-publishing and yet has no idea what a space bar is or what it's used for? They make you feel like an eight-year-old piano student whose teacher stands over you and raps you on knuckles whenever you hit a wrong note, all the while saying, "Now, now, dear, remember it's wrong to make a mistake!" And certainly I am quite aware that using the space bar to paragraph (like I'm doing in this blog post) or for most other purposes is a big, fat no-no in Smashwords. Smashwords will allow nothing but Paragraph Indent and Centering. You can't even use No Paragraph (block paragraphs). So I was swearing and yelling, "I did not use the space bar except where I'm supposed to!" Well, of course I did. I didn't use it for paragraphing, but I did find several places where I had made three spaces when I meant only two. (Just touched a wrong key there, ma'am -- please don't hit me again!) And then I went through the whole doc. looking for extra spaces at the beginning of paragraphs. By golly, I found quite a few. Several double spaces and a whole lot of single spaces. Some of those are certainly present in the printed book as well, but most of those are so miniscule that unless you took a ruler and laid it on the page against the beginnings of the paragraphs, you would never notice them. However, in the future I will check that before I even start formatting the CreateSpace template. Now, I was also using * * * between chapter sections (employing the space bar -- what's a space bar, Mommy?) so I redid those as simply *****. I don't know what editors prefer for section breaks, but I've always used a series of stars. But here is what is peculiar. I rechecked the document I uploaded for The War of the Stolen Mother, and it's got the * * * and plenty of extra spaces, including some three-space chunks and extras at the beginning of paragraphs. And Smashwords never quibbled in the least about that one! So go figure! Is it something new they've added? Is it a matter of a different individual doing the vetting? I thought Autovetting didn't involve living people. Oh, and one other thing: When I looked at the epub version, I found an NCX error, where I had missed a link to the Facsimile page. Smashwords didn't catch that one! Evil laugh -- heh-heh-heh! So I fixed that as a bonus. It's all a big mystery! But my final upload worked and I'm now waiting to be included in the Premium Catalog. I've had two sample downloads so far. Hope you enjoy! Rant over! I feel better for sharing! And maybe it will help somebody else avoid the same errors. Does this mean that there was milk only in the tea, or that both the coffee and the tea contained milk? In English, the sentence is ambiguous between these two readings (and possibly other readings too). As it turns out, it’s not ambiguous at all in Buruya Nzaysa. On a basic syntactic level, the above construction creates several independent noun phrases and conjoins them after the fact. Accordingly, it tends to mean that the referents are all involved in the relevant activity, but each in its own way. Knowing all this, we can now tackle the abovementioned translation challenge. The mandatory articles and the different ways of grouping noun phrases combine easily to describe the situation unambiguously, and they even enable us to make further distinctions not originally required. Ɔdeya ɔ nzuma o ɔ kwamɛdi o te’o kwə barɛda. There are two noun phrases here: ɔ nzuma “(a) coffee” and ɔ kwamɛdi o te’o kwə “(a) tea with milk”. Because the word for “milk” is very closely connected to the word for “tea” in a kwə-construction, and the word for “coffee” is in a different noun phrase, it is obvious that there is no milk in the coffee. Ɔdeya ɔ nzuma o te’o kwə o ɔ kwamɛdi o te’o kwə barɛda. Now the words o te’o kwə “with milk” are repeated in both noun phrases, making it clear that there is milk in both the coffee and the tea. Ɔdeya ɔ nzuma o kwamɛdi o te’o kwə barɛda. On the surface, this sentence differs from the first one only in a single phoneme which has been left out, namely the indefinite article ɔ before kwamɛdi “tea”. This minimal difference results in a very different meaning: There is now only a single article in the sentence, and the word for “tea” thus cannot be interpreted as the head of a separate noun phrase anymore. Instead, all three nouns are now part of a single kwə-construction, ɔ nzuma o kwamɛdi o te’o kwə “coffee and tea and milk (together)”. The sentence now indicates that all three beverages are separate items, but were acquired in a single act of buying from a single merchant. Ɔdeya ɔ nzuma o ɔ kwamɛdi o ɔ te’o barɛda. Finally, here are all three nouns treated independently, each in its own noun phrase, even though they are still linked and all of them still share the same object slot in the argument structure of the verb. Note that the stranded preposition kwə is gone, and that there are now three separate articles. Semantically, this sentence can be interpreted in the same way as the last one, but its meaning is not as precisely restricted. In fact, it carries the connotation that the different drinks were probably bought independently at different times and/or from different people. You are currently browsing the Conlangers blog archives for March, 2013.